Huqas offers its customers unsoiled, spotless, Luxurious polycotton (50:50) products spun from the best ring yarns available. We rewardingly assure you that our products are without any harmful chemicals or bleaching agents being added which could undermine the integrity and purity of the sheet. 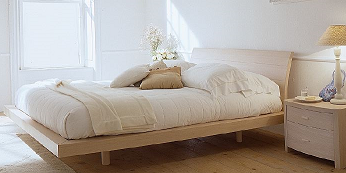 From our classic plain weave to our luxurious high thread percale bedding, Huqas Corporation offers Wholesale Bed Linen to satisfy all styles, demands and budgets.